I love to make my pillows like this because they are quick & easy. Also the removable cover makes washing a breeze. It's nice to simply be able to slip the cover off & replace it with another when you're ready for a new look. To make the pillow you will need a pillow form (these go on sale 50% off quite often at Joanns) and fabric for both the front & back of the pillow. On one of the long sides of the backing pieces create a hem by folding the fabric over towards the back 1/2 inch & iron. Then fold over another half inch, iron & pin. Sew along the fold with a straight stitch. Repeat on the other backing piece. The photo below shows how this will look on the back side of the fabric (piece at the top of the photo) and on the front side (piece at the bottom of the photo). Next, lay your front fabric piece face up. Lay one of the backing pieces on top, facing down, so right sides are together. Position the raw edge of the backing piece on the left edge of the front piece. The hemmed edge will be in the middle. Pin in place. Lay the other backing piece on top with the raw edge aligned with the right edge of the front fabric piece. The hemmed sides will overlap in the middle. Pin in place. Sew around all four edges using a 1/4 inch seam allowance. Remove your pins & trim the corners. Turn the pillow case right side out. Using the eraser end of a pencil, push your corners out. The pillow case is done! Put your pillow form into the case. The back pieces will overlap nicely in the back. And you've got a snazzy new pillow! It's really that easy. So go on and add some new life to every sofa, chair & bed in your house! oh, thank you! I was just looking for something like this. How did you know that this was going to be my next sewing project? Thanks!!!! Pictures will be posted soon. Wow, this is really wonderful and seems easy. I cannot wait to try. Oh this is fantastic! I've been wanting to make a bunch of new covers for spring, thanks! I'll be linking. Very pretty. I think I'll give it a go! I love the fabric, where did you get it? This fabric is actually from an Urban Outfitters bedspread that I bought on clearance a while back. thank you for this tutorial! it looks so easy....I need some new pillows for my couches, so this might just do! I'm going to try making some pillows with piping. I hope they turn out!! I also linked back to this post. I just used this to make two pillows today. Worked great. I had to make a couple of adjustments in size on the smaller pieces for the back (I did two inches smaller) and it worked great. Thanks! I can't wait to try one! I have been looking for pillow tutorials all over, and this one makes the most sense. Thank you for explaining so well! So simple yet so beautiful - that one will go on my to-make-for-xmas-list! Thank you so much! I have stayed away from making removable pillow covers for fear they would be too difficult. You made this easy enough for me to follow as a beginner. Thanks again!! I am so happy I stumbled upon your blog! I wanted to make my own throw pillows for my couch and bed, and you have the easiest instructions out there! I've made seven pillows already, and they have made the rooms look so colorful! What a great and easy to follow tutorial! I used it to make some pillow covers and I linked back to here on my blog. I hope others will be able to take advantage of it! I just found your site today, very nice. I have a short question, I want to put the cover over my old pillows. They are 24" across both sides. so my first fabric is cut 24" for the front and then (2) 20" pieces cut for the back. I am reading it right about how you did it above and put it into what I have posted? Thank you, thank you! I am learning to sew and this was the perfect project for me to really boost my confidence! We just created a reading corner in my little girl's room - she's in kindergarten and loving reading, so I wanted to encourage it! Anyways, I bought the Boon Stuffed Animal Bag so she has this super cozy "beanbag", and just couldn't find any throw pillows I loved (she likes to take pillows and a blanket and get comfy). I found 18" pillows at Target 2/$9.99 and purchased the perfect fabric for her room. The pillows are the reverse of each other - the front of one is the back of the other and vice versa. This tute was SO easy to follow and has inspired me to try more and more! BTW, I came across your blog when searching for "throw pillow cover tutorial" and am HOOKED! You are officially in my reader! Thank you so much! This is just what I was looking for after one very misshapen failed attempt. Thank you for breaking it down so clearly. Thanks! I finally got around to finishing my pillows I started several months ago and love how they turned out! just made 4 bright fresh spring pillow covers! check them out! thanks for the simple and quick tutorial! Am going to 'pin' this on pinterest.com to definitely make some covers soon! Okay Miss C, I'm making this next! I don't know if you saw my latest sewing project on Facebook over the weekend...but I made 4 quilted pillows, 2 for my girls and 2 for my nieces...they actually turned out really cute. I was all trial and error though and I didn't use a pattern. I would love to cover some of the random pillows that I have sitting around in my house so they actually can be taken out of the closet and will match chairs and beds and sofas in my house. This tutorial looks like a great one for me to use. I'll let you know how it goes! :) You're looking good by the way, hope you're feeling well too. I'm sure this heat is really zapping some of your energy at this stage of your pregnancy. Thank you so much for this tutorial! I made 2 pillow covers for old pillows I had. They turned out beautiful! This was an awesome tutorial for a creator who has only had her sewing machine for 1 week! I used 2 table cloths I had found and it worked out beautifully! Thank you! The best tutorial I've ever read! Thanks so much! Thanks for your efforts in describing pillow inserts. This is really very knowledgeable. This was my first sewing project and it turned out so great! What a fun confidence booster, and my cute little cushion looks great on the couch. I bought some plain ol' cushions at Ikea for $5 AU each (probably would be cheaper in the US). I bought my fabric at Ikea, too, and it was on clearance. My little pillows work out to about $6 each. It only took me about half an hour to make my first one, and I'm sure they'll get quicker from here. So fun! Thank you for this tut! Great post - just wanted to let you know we have featured your project on Craft Ideas Weekly. Nice article has been posted, i really enjoyed reading your this article and also did get lots of good points from here. LOVE all of these vintage cushion pillow covers , so beautifully produced and perfect for drawing,bed,sofa couch. Such a beautiful blog you wrote. Very easy and simple.Good worf & idea thank you for posting.good choice of pillow covers can change the look of room.Nice post. This past weekend I used your DIY to make my own pillow covers! I linked your blog, but I made a painted pillow cover and it turned out great. Thanks for the awesome tutorial!! Here is how mine turned out. Bring spontaneity and positivity in your life with excellent sofa cushion covers from Indianbeautifulart. A great motivational tool, these pillow covers bring a certain energy to the table. What are you waiting for? Hurry! Just finished mine, thank u so much! I really liked as a part of the article. With a nice and interesting topics. What kink of fabric you used in making this. You can suggest me that what kinks of fabric should be used to make luxury bed linen. 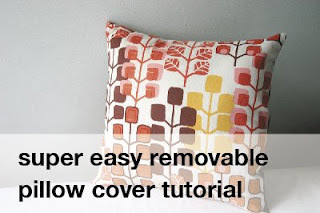 Very Nice and unique tutorial to make Pillow Cover at home. It's amazing. This is so simple and so beautiful cushion cover. If you know how to make Bed Linens, please confirm me. Thanks. That's a easy way to create beautiful pillow covers by yourself. Any way to create DIY bed sheets or quilts? Thanks in advanced. My first project with my new sewing machine. Thank you for making a GREAT tutorial to follow…I’m not exactly a seasoned sewer, but I found your directions easy to follow. تعرف معنا على أهم طرق شد الترهلات بدون جراحة وكل ما يتعلق بعمليات شد الجلد.